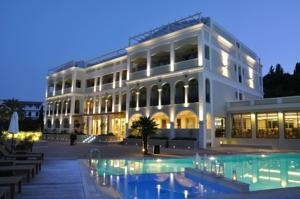 The Hotel Be Live Adults Only Marivent are situated in the Mediterranean Sea. Sophisticated and a lot of amenities you will find the best atmosphere of Mallorca with a top-level facilities and personalized service, perfect for adults only. Relaxation area, swimming pools on the sea, Beach Club, gym. Enjoy the experience of staying in a Adults only hotel on the beach of Cala Mayor and live unforgettable moments. This adults only hotel in Umag, Croatia, lies only a few steps away from the sea. Enjoy a children free holiday with wellness centre, swimming pools, fitness area and lots more to discover. Surrounded by pine trees this four star hotel offers a big sun terrace by the outdoor pool, with sunshairs and free beach towels. Free Wifi all over the establishment. The Meliá Hotel provide an excellent buffet restaurant with show cooking, à-la-carte restarant, a beach club and a snack bar. Furthermore the on-site entertainment is very distingueshed with sports and leisure facilities for adults only, e.g. pole dancing classes are available during summer. The Adults Only Hotel Corfu Mare is a newly renovated boutique hotel, situated in a quiet area just 1.5 km from Corfu Town. 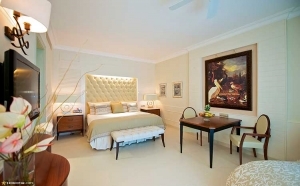 All rooms are decorated according to themes with trendy and unusual wallpapers, colors and furniture. With views over the Ionian Sea, it features an outdoor pool and hot tub with fresh water, while refreshments and light meals are available to enjoy on the pool deck. Relax at the sauna area or at the well equipped gym, which are available for free to the clients. This spectacular 5-star, adults-only hotel offers all the needs for a children free holiday in the Dominican Republic. Belonging to the exclusive IBEROSTAR Grand Collection hotel chain, this “all-inclusive” resort & spa is a winner of the World's Top Ten Travelers' Choice ®Awards. The warm and welcoming atmosphere of the hotel's rooms offer two full beds or a ‘king size’ bed, Jacuzzis for two in the room; marble baths; exquisite linens, a pillow menu, as well as all those little details to meet the customers' needs as coffee maker, DVD player, iPod/MP3 player base, Wi-Fi, etc. 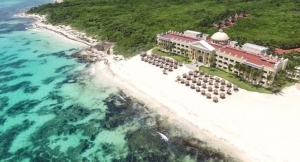 This luxurious adults-only resort is ideally located at the beach side and features a full-service spa, numerous on-site dining options and endless recreational and entertainment options. On-site at the Royal Suites Turquesa, guests will find everything needed for an unforgettable stay, from numerous swimming pools and a nightclub to gift shops and beauty salons, there is something for everyone. A large variety of recreational activities, including soccer, tennis, basketball and volleyball are also available on-site, as well as deep-sea fishing, diving, windsurfing and snorkeling can be found only moments away. 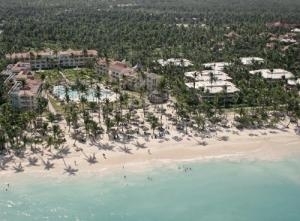 Dominican Republic Only adults hotels in Dominican R.